Now in its fourth season, Who Do You Think You Are is the pet project of actress Lisa Kudrow (from Friends fame) that follows celebrities as they trace and discover their own roots. Ms. Jeannie loves this show because everyone can learn from it – regardless if you are famous or not, everybody follows the same format. You have to look back in order to look forward. Lots of different types of celebrities from film stars (Susan Sarandon), to sports figures (Emmit Smith) to singers (Lional Ritchie) to comedians (Chris Rock) to models (Brooke Shields) have been featured on past episodes. Kelly’s ancestor fought in the war for four years. 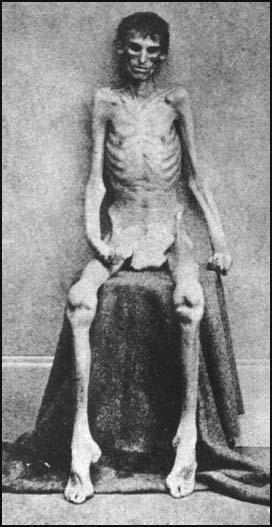 He was captured and taken prisoner by the Confederate soldiers and sent to a prison camp in Andersonville, Georgia. 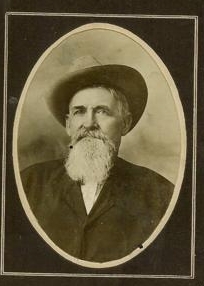 Ms. Jeannie’s great, great grandfather also served for four years and fought in battles all over the Southeast – his last one was very close to Andersonville, GA and it was there that he suffered trauma to his eyes. 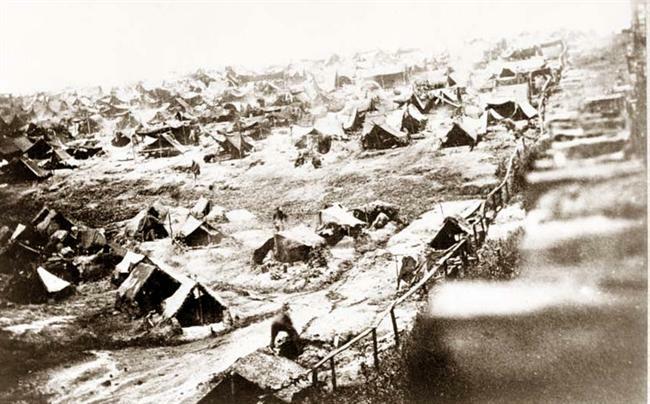 The prison camp at Andersonville was awful – holding over 40,000 soldiers in a barracked field open to the elements and left to their own devices for toiletry, food and shelter. Union soldier held at Andersonville Prison. Men were walking skeletons from mal-nourishment and disease, they were angry from being confined, and they were exhausted from fighting the war and then fighting to survive in a prison camp. 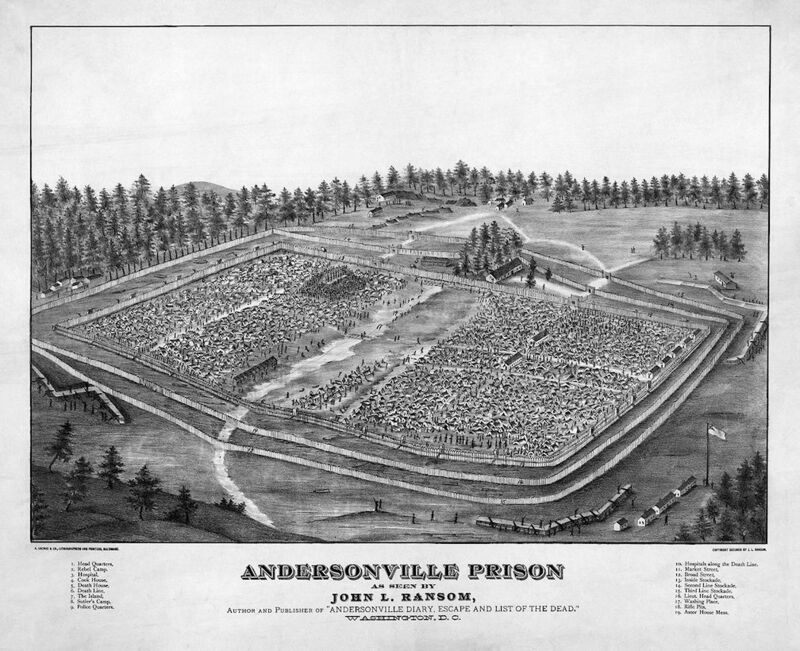 Andersonville is the United States version of Holocaust camps in Germany. There was no regard for human dignity or for human life. Men were thrown together en masse and left to fend for themselves. Over 13,000 soldiers died in camp at Andersonville during the Civil Wa,r and now the park serves as a memorial to the bravery of lost victims. Thankfully Kelly’s great, great, great grandfather escaped the prison confines and re-introduced himself to civilian society. He carried on with strength and determination to lead a long and fruitful life. 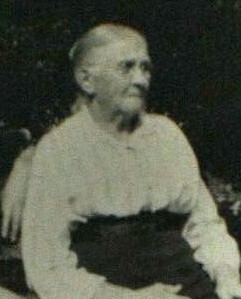 Albert’s wife, Martha. Ms. Jeannie’s great, great grandmother. 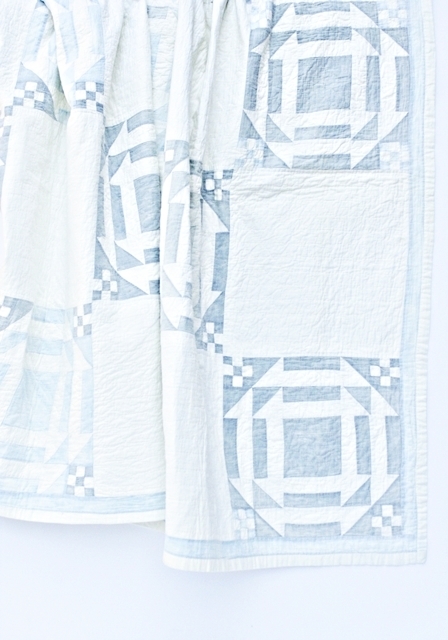 Martha’s churn dash style quilt, which Ms. Jeannie now keeps. 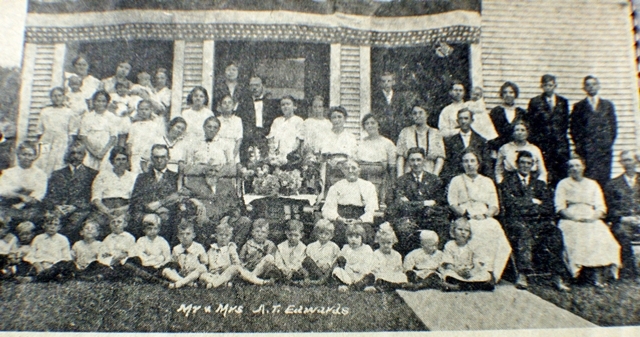 Martha and Albert, center, at their 50th wedding anniversary with their children, grandchildren and great grandchildren by their sides. Albert’s inkwell that he carried with him throughout the Civil War. Both items are warm and hopeful pieces and Ms. Jeannie just loves that. Martha’s quilt kept the two of them warm for years. 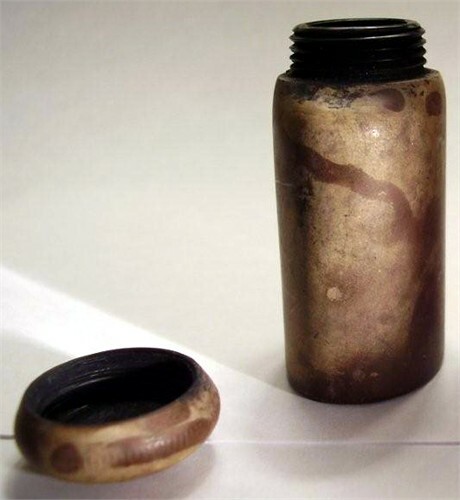 Albert’s inkwell may have aided in letters home while he was away at war. There is no documentation in Ms. Jeannie’s family of anything written using ink from this inkwell, but Ms. Jeannie thinks something special must have come from this font in order for it to have been passed down through the family for all these years. It could have been something as simple as an “I Love You” from Albert’s hand to his parents, James and Nancy in Ohio or a sweet “wait for me – I’m coming soon” sentiment to Martha in Indiana. Either way it was a valued vessel. Kelly ends the episode by returning to Nashville and reporting to her mom all that she uncovered on her genealogy adventure. “Now we know…” she said to her mom. ” This is in our blood.” This is what makes this show, and genealogy in turn, so great. It is in your face history that has directly affected your life. Had there never been Isiah there would never be Kelly and had there never been Albert there never would be Ms. Jeannie. And while we can’t sit down and have a face to face conversation with these past generations, we still know them, because we are them. We are all, a lot more related then we realize! Who Do You Think You Are airs every Tuesday night at 9:00pm (eastern) on TLC. Next week, it’s the actress Christina Applegate. If you are a fan of the show, please comment below, Ms. Jeannie would love to hear your thoughts. What a beautiful piece you wrote about the family…..it always amazes me how far our country has come in such a short time. Amazing photographs. Thanks for the history lesson. Fascinating post and such shocking images of the prison camp. It’s incredible to think what people went through. I love your family treasures! Beautiful post! You’re so fortunate to have these treasured items from your family! Well said, my dear. They are very valued!